Gov. 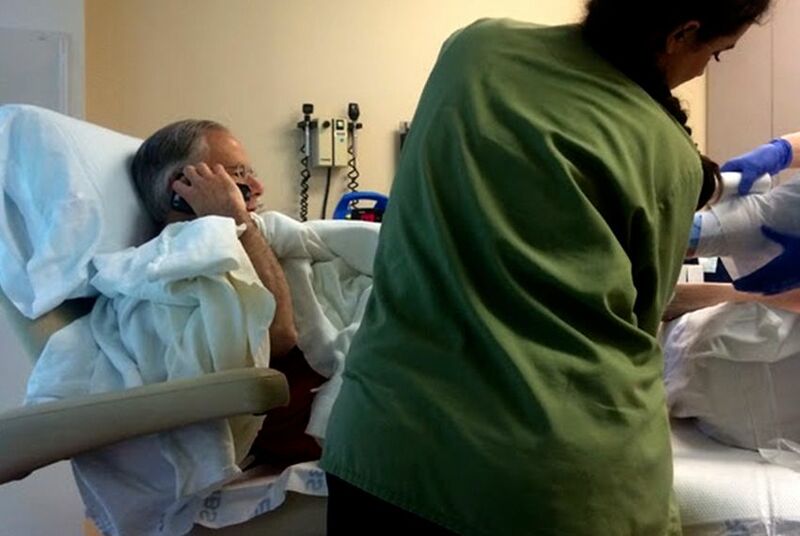 Greg Abbott speaks to President Obama on Saturday, July 9th, 2016 while receiving treatment for burns in Austin. Gov. Greg Abbott was admitted to Brooke Army Medical Center in San Antonio for treatment of burns on Monday, and will not attend an interfaith memorial service on Tuesday in Dallas honoring the five police officers slain during a peaceful protest last week. First lady Cecilia Abbott will attend the ceremony, which will include speeches by President Barack Obama and former President George W. Bush. Abbott is recuperating from burns on both legs below the knees. On Tuesday, the governor will undergo skin grafts to repair damage on both feet. He is expected to be discharged and will return to Austin. His office revealed on Sunday that he had suffered "second- and third-degree burns" when he was accidentally scalded with hot water last week at a lodge in Jackson Hole. Abbott shortened his vacation when he learned about the Thursday shooting that left five officers dead and seven others injured. It is unclear whether the governor will attend the Republican National Convention, which is being held July 18-21 in Cleveland. Abbott is an at-large delegate to the convention. Abbott went to the hospital in Wyoming immediately after the incident, and since then, he has been receiving treatment at St. David's Medical Center in Austin. The governor's office also released a photo of Abbott speaking to President Obama on Saturday while receiving treatment for his burns.